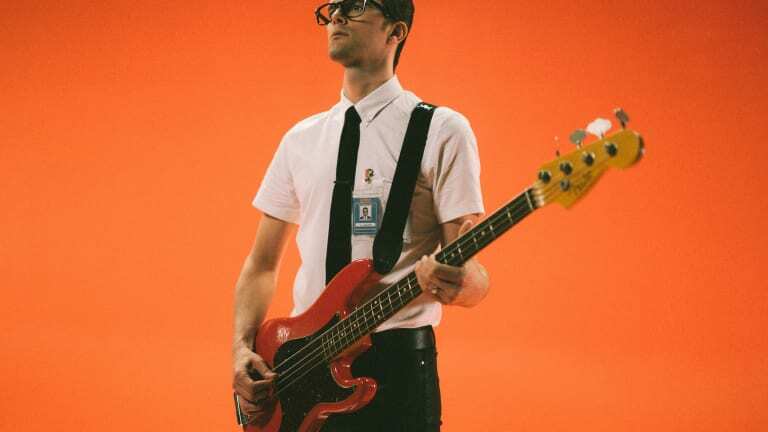 After leaving Panic at the Disco, Dallon Weekes has found his own musical identity with his new drum and bass outfit, IDK How. Despite his best efforts, you’ve found Dallon Weekes. It was only a matter of time, really. After walking away from his longstanding role in Panic At The Disco in 2017, the 37-year-old took some time with his family before completing material he had been working on in between his hefty touring schedule. He teamed up with drummer Ryan Seaman and they recorded their debut EP, 1981 Extended Play. They kept the project entirely secret, and even began playing shows anonymously to avoid exploiting the notoriety they gained from their previous bands. When confronted by fans and when photos and videos emerged online of the duo, they denied everything. But their ruse could only go on for so long, as their songs began making their way online and extended to the far reaches of the internet, where fans became ravenous to know when material would be released and when their next shows were going down. 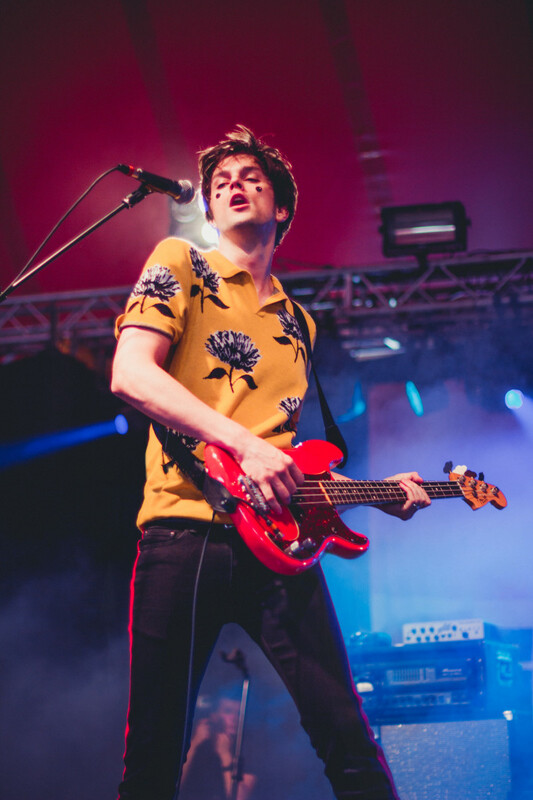 Finally in August 2017, Weekes released their first single online, “Modern Day Cain,” which was met with ecstatic reviews and frequent radio airplay. The duo decided to use the moniker I Don’t Know How But They Found Me, which is both a quote from the movie Back to the Future, and an appropriate title given the band’s initial attempts at secrecy. 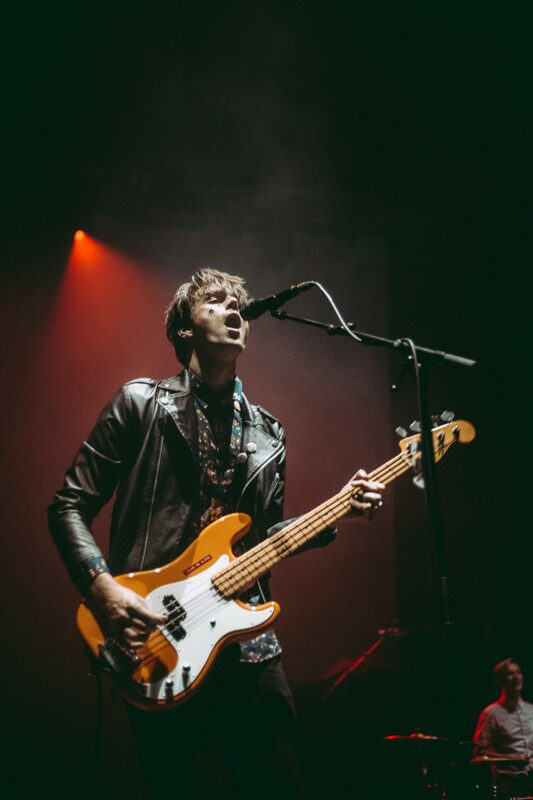 What is no secret now, however, is Weekes’ low end-fueled new sound where bass takes center stage as the lead instrument. 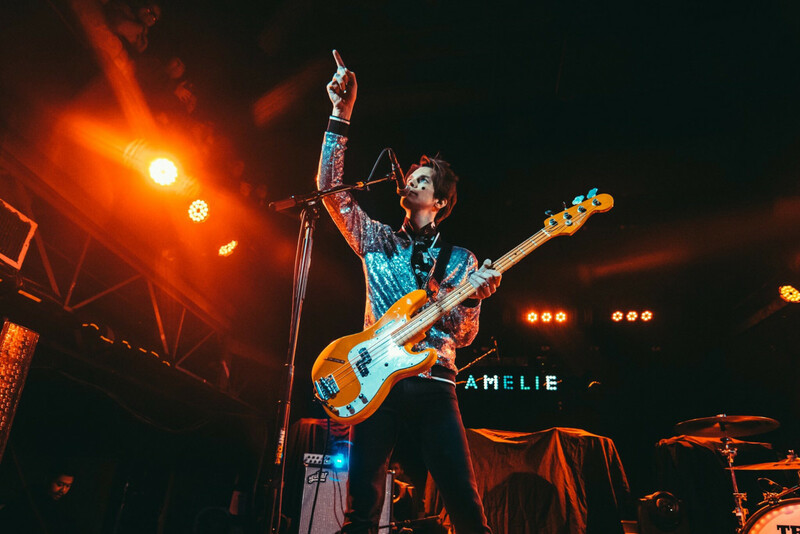 Songs like “Bleed Magic,” “Choke,” and “Do It All the Time” reveal Weekes’ untethered and recently freed chops on bass that allow it to serve as both the rhythmic and melodic center of the band. And live, his charisma and commanding stage presence make him a bona fied frontman, after serving as a sideman for so many years. 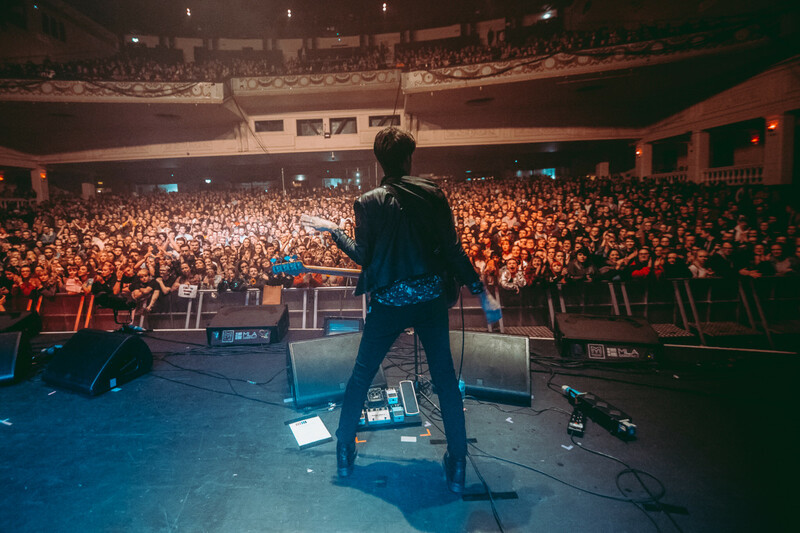 All of these elements naturally manifested into the next chapter of Weekes’ musical life, and the quickly spreading fanfare that has come along with it is just an added bonus. I mean, in his defense, he tried to keep this to himself and use it as a simple creative vehicle after not having his own outlet for so long. But hey, you found him, so here he is. This all seemed to come together pretty quickly. Was leaving Panic and starting this band a whirlwind for you? Everything actually happened organically. The end of my time with Panic was long in the making and I saw it coming a few years before it happened, so I had time to create some ideas and collect material for this new project in my downtime. When the moment came for me to do IDK full time, we were in a good spot to get the gear turning and the wheels moving on that machine. IDK blew up quickly and went viral instantly. What was that like for you? It was overwhelming and we weren’t prepared for that reaction at all. When we started making recordings and first started playing shows, everything was a secret. We’d go book a show at a club and not tell anyone so we could go play for strangers who didn’t know or care what other bands we’d been in. We wanted to see if these songs could get attention on their own, and we did that for a good seven or eight months. Eventually fans started to figure it out, and we’d just deny, deny, deny everything. We’d deny our own existence, even. Eventually, just like any other band, we wanted people to hear our music and we wanted to get it out there, so we finally ’fessed up to what we were doing and we started putting stuff online, but we still weren’t advertising it. We wanted the fans to do the footwork, and also so we weren’t taking advantage of the bands we were playing in at the time. Something about that just felt disingenuous, although it would’ve been really easy to do. We wanted to build credibility for this band on its own. How much fun is it as a bass player to play in a drum and bass duo? Dude, it’s so fun. There’s no one stepping on my toes, no one to tell me to not use this or that effect pedal; it’s complete and total creative freedom when it comes to songwriting and performing. Bass is not a support instrument in this band. We treat it more like a lead instrument, and it’s just so much fun. What was your mentality for writing bass for this EP? I’ve always been a sucker for songs where the bass line is the melody and when you’re done hearing the song, it still stays in your head. A good example of that would be a song like “Billy Jean” by Michael Jackson. I don’t care who you are — when you think about that song, the first thing that pops in your head is the bass line. When you treat it that way, bass can be a very special thing. That’s such a killer bass line on “Bleed Magic,” and you get some great pick tone on it. I know that some bassists treat playing with a pick like a cardinal sin; I understand that. In that regard, I’m definitely guilty. But I attribute that to most of my bass heroes playing with picks. Robert Sledge, and Matt Sharp from Weezer. I try to go back and forth, but I’m mainly a pick guy. That song started with that picked bass line for me, and I ran with it. It kind of formed organically from there. “Do It All The Time” has some great pocket lines. How did that come about? I wrote that one on my own, and that’s probably the most sarcastic song I’ve ever written, both musically and lyrically. I wanted to do a send-up on all of the standard pop music formulas that people tend to gravitate toward. It mocks the attitude of doing whatever you want to do, which is a philosophy that’s so popular in pop music right now. I think it’s such a stupid philosophy. That song was written out of sarcasm and contempt for pop music conventions. You’re definitely not supposed to have the bass guitar be the lead instrument in your song, and in that song that’s the first thing you hear. What was the recording process like for this EP? Every situation on every song was different because the budget was, and still is, non-existent. It was all very DIY. I recorded a lot of the album in my kitchen — about 70%, actually. I’m not the most technical person when it comes to recording, so I would take those files to friends who could polish them up and make them sound as they should. But I made sure that everyone I worked with knew my philosophy about bass in this band, and that it was going to be the lead instrument and not to treat it like an afterthought like a lot of bands and producers do. That was my main priority. Has it been a big leap stepping into the frontman role? It took me a little bit to remember how to play that role. In the last three or four years of Panic I was relegated to being in the background and was told not to jump off stuff, not to move around too much, and that I was supposed to stay in my area and wear my black suit and stand in the shadows. And I was happy to play that role. Panic was not my band, so I was happy to do whatever they needed me to do. But doing it that way for so long, I kind of forgot what it can be like to be onstage when there are no rules and you can turn your brain off and just go. But I’m starting to get back in that zone again of being a frontman. 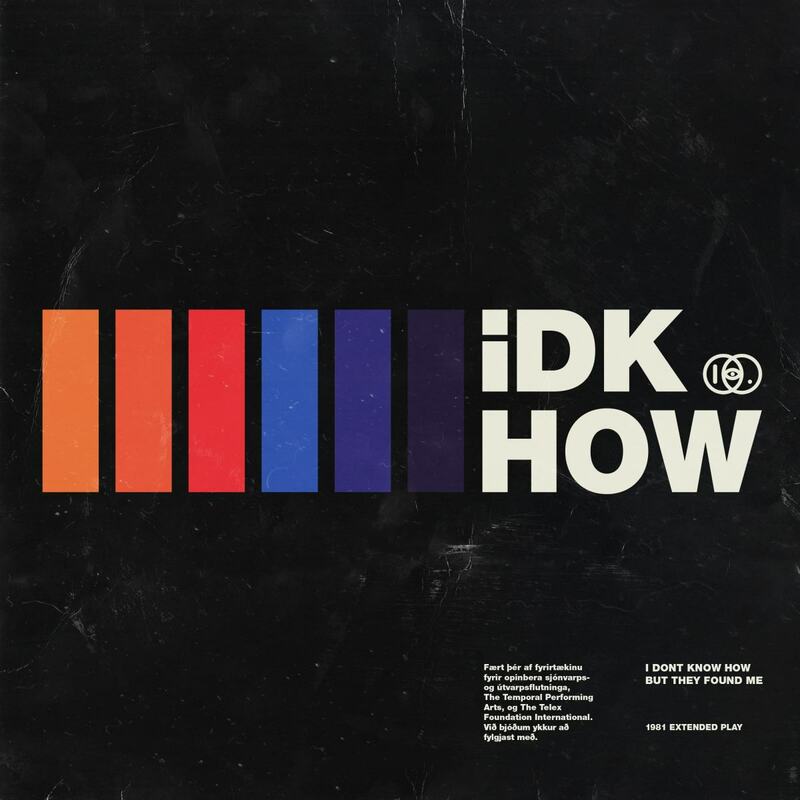 Was it a conscious goal of yours to make the sound of IDK different from Panic? There’s been a conscious effort to avoid similarities with certain bands, and especially Panic because I was in that band. People tend to make lowest-common-denominator comparisons. The easiest possible comparison is usually the one that comes up first. So, from that, the fact that I was in Panic At The Disco will make people want to relate this to that. And because there are two of us in this band and we play bass and drums, 21 Pilots would be the next thing we could be compared to. So it was important for us to sound like neither of those bands. Regardless, people are going to shout those names at us everywhere we go because it’s easy. We tend to avoid sounding like any other bands. What have the shows been like from your perspective? It’s scary and it’s overwhelming and it’s stressful, but it’s also incredibly rewarding and validating. To have these ideas that I sat on forever that people told me were no good and that no one would ever like, and to put them out there anyways and have people like them, has been such an amazing feeling. We’re going to continue to keep doing this as long as people care to listen. What’s it like playing with Ryan Seaman as a drummer? It’s really easy, because we share philosophies that the song always comes first. It’s not about showing off your chops and showing everyone how good you are at this fill or this riff or this solo. We’re here to serve the ideas first, and everything else comes after that. Ryan has always been that guy. He’s one to work to serve the song first before he serves his ego. It’s really easy to play with people like that, especially when you’re on the same page like we are. That Capri Orange Precision Bass you play in IDK is a beauty. Man, I love that thing. I got that off Craigslist for $200. I usually gravitate toward full-scale basses because I’m a big guy, but I do have a Capri Orange Mustang Bass that I play sometimes just to feel like a giant. My favorite bass that I’ve played as of late, which is on the song “Social Climb,” is an old Fender Musicmaster from 1977 that belongs to my friend Jason Hill. It’s beat up and a piece-of-crap-looking old thing, and it looks like you’d never think in a million years it’d be worth playing, but when you do, it sounds better than any bass out there. It’s my favorite bass to play, and any time I get to pick it up and use it, I do. When can we expect the full-length album?